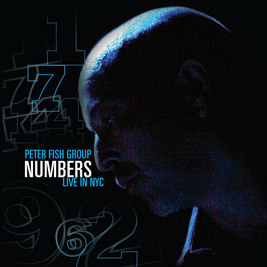 A charter member of the Peter Fish Group, Composer and trumpet player Waldron Ricks has played alongside many legendary jazz greats such as Art Blakey, Roy Haynes, Wynton Marsalis, Bobby Watson, Barry Harris, Arthur Taylor, Eddie Henderson, and Roy Hargrove. He’s also played with David Murray, Greg Tardy, Myron Walden, the Charlie Persip Big Band, and the Mingus Big Band. As a composer, his credit appeared on the 2003 PBS 6 part series This Far by Faith: African-American Spiritual Journeys and in the Emmy-winning 1996 Secret Daughter. He is a 2000 graduate of the New England Conservatory of Music. 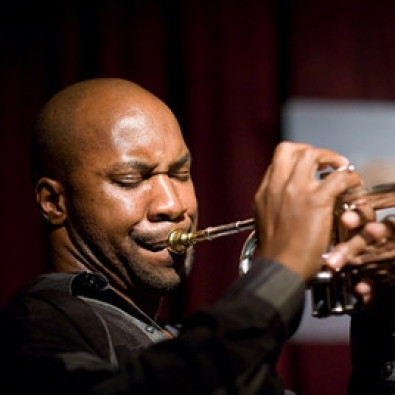 Born in Detroit, Michigan, 19xx Waldron started playing the trumpet at the age of nine. His father, who plays sax, gave him his first music lesson. Waldron moved to New York City in 1984 to study with jazz masters Barry Harris, Tommy Turrentine, and Wallace Roney Waldron toured in Europe with tenor player James Carter. They played at the Verona Jazz Festival in 1992, and again in 1996 at Scullers Jazz Club in Boston. The Waldron Ricks Quartet performed at the Toulon Jazz Festival in France in l994. As a sideman, Ricks performed as part of the John Coltrane Memorial Concert in Boston, Mass., from 1994-1999, featured alongside such jazz greats as Cecil McBee, Teri Lynn Carrington, Shirley Scott, Bill Pierce and Frank Foster.